We are excited to kick off our live coverage from Bristol Motor Speedway. Leading up to Saturday’s Bass Pro Shops NRA Night Race. This is the longest running night race in NASCAR. Bristol Motor Speedway celebrates 40 years of stock car racing under the lights. “America’s Night Race” is always a highlight on the Cup Series circuit. 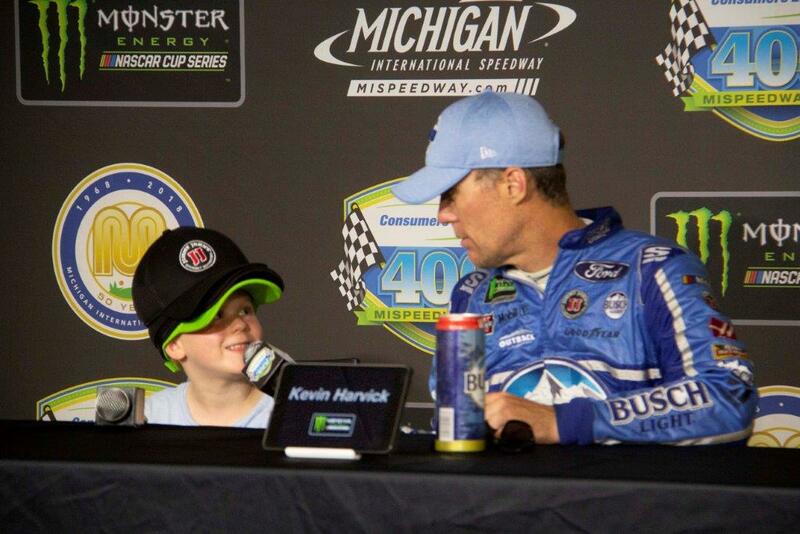 The Kevin and Keelan show last week at Michigan International Speedway emphasized the importance of family. NASCAR has always had a strong family tradition. When Xfinity Series driver Elliott Sadler stepped to the podium this morning his story centered on family also. Elliott had recently announced this would be his final year in full-time NASCAR competition. While he did not say he would never drive again, he made it clear only a call for help from JR Motorsports would get him to put on a driver’s uniform again. But, don’t call in June or July. Elliott already has a job for next year. He is coaching his son’s Little League team. Expressing a desire to spend more time with his family, he seemed at peace with his decision. 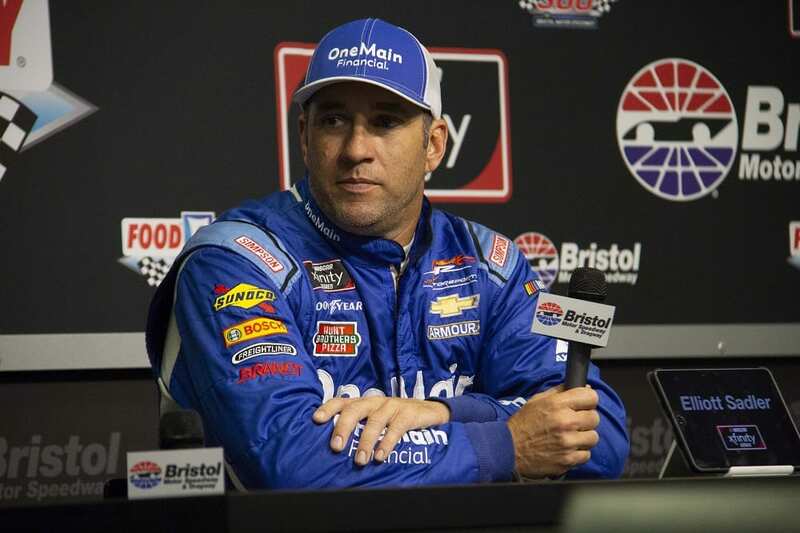 Elliott Sadler has never won a NASCAR Championship. He came excruciatingly close last year, but could not seal the deal at Homestead. He is focused on this final run at the NASCAR Xfinity Series title. It will be interesting to watch as Elliott chases this one last dream through the playoffs this year. Sadler does not have a win this year. However, he is solidly locked into the playoffs based on his 2nd position in the season-long points race. The NASCAR Xfinity Series race at Bristol Motor Speedway is sponsored by Food City. In a tribute to Elliott, Food City announced he would give the command to “start engines” at Friday’s Food City 300. Stewart Friesen(52) posted the fastest time in final practice for The NASCAR Camping World Truck Series race tonight. 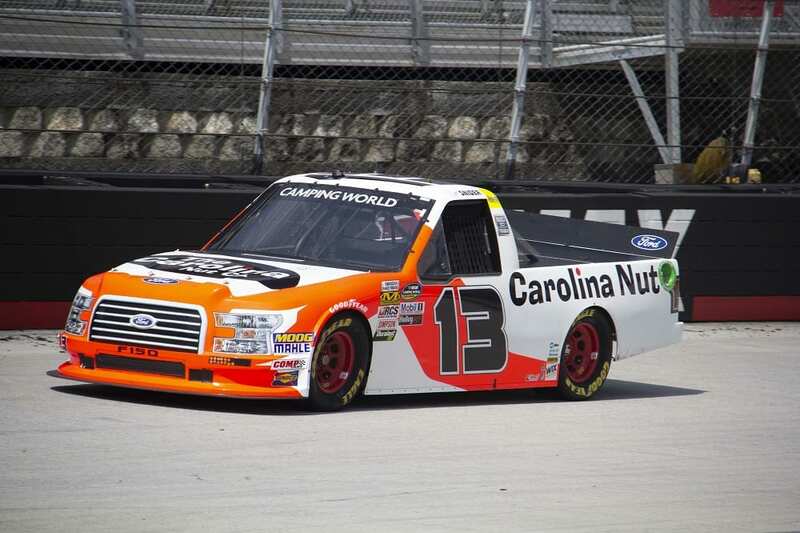 His speed of 125.716 mph just surpassed Johnny Sauter(21) who ran 125.666. 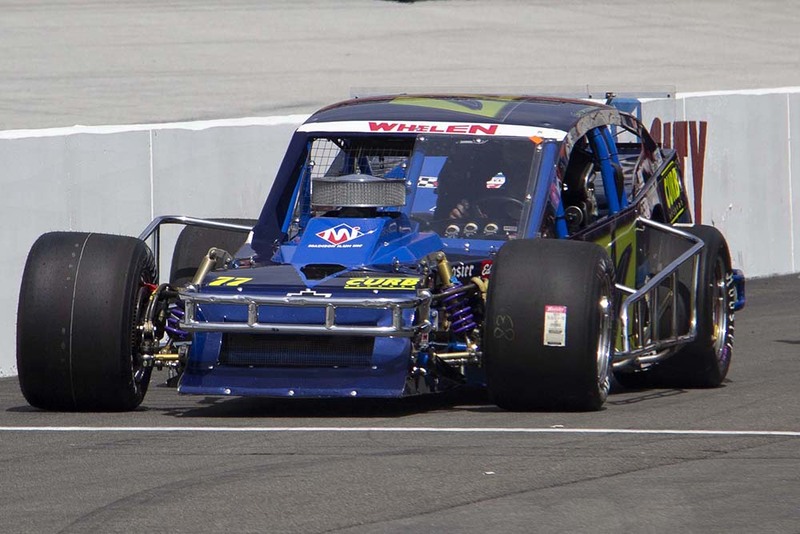 The 21st Annual UNOH 200 follows the Bush’s Beans 150 for the Whelen Modified Series on the Thursday schedule. 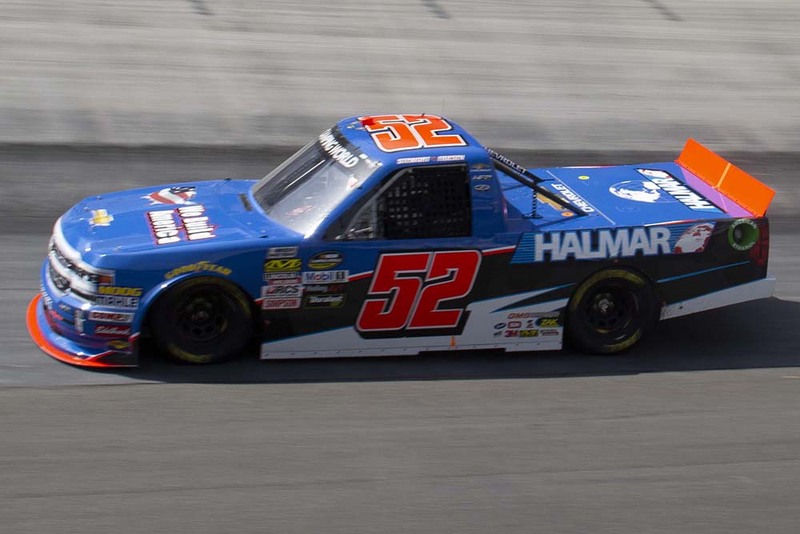 Harrison Burton was scheduled to pilot the #51 truck in the UNOH 200. Unfortunately, he is ill and unable to compete. Team owner Kyle Busch tabbed last years series champion Christopher Bell(51) to fill the seat. That was a good decision, Bell won the pole with a speed of 125.839 mph. Ben Rhodes(41) in his Ford F-150 starts beside him on the front row. Series points leader Johnny Sauter sits in the second row having qualified 4th. 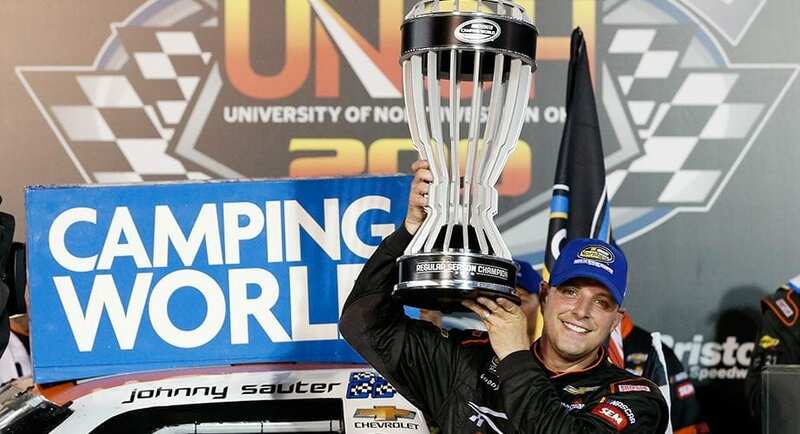 When Sauter takes the green flag he will be the 2018 Truck Series Regular Season Champion. His points lead is insurmountable as the UNOH 200 is the last race before the playoffs. Matt Crafton(88) is on the playoff bubble. Position 8 in the smaller playoff field for the Camping World Truck Series. With a 94 point lead over 9th place Myatt Snider, Crafton is safe. Unless someone outside the top 8 wins tonight’s race. Crafton starts 18th. 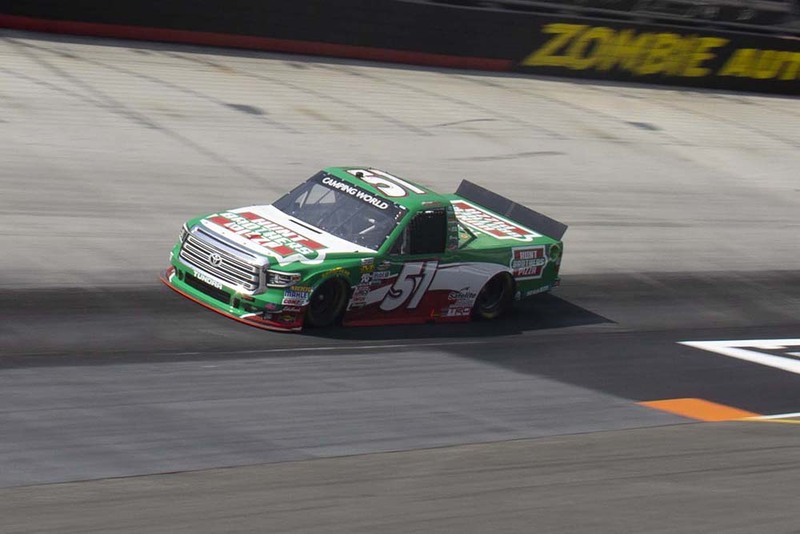 Considering this is Bristol, Crafton will have a long night starting in the middle of the pack. His fate unsure until the checkered flag falls at the end of 200 laps. Both Crafton and Snider drive Ford F-150’s. 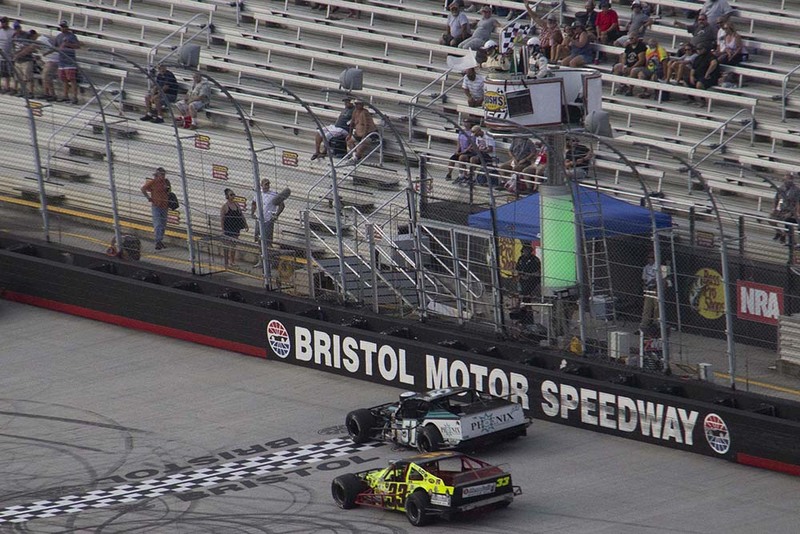 Justin Bonsignore(51) won the pole for the Bush’s Beans 150. Then went on to win the race. Bonsignore’s car had some trouble on restarts. He had to come from as far as 5th place. 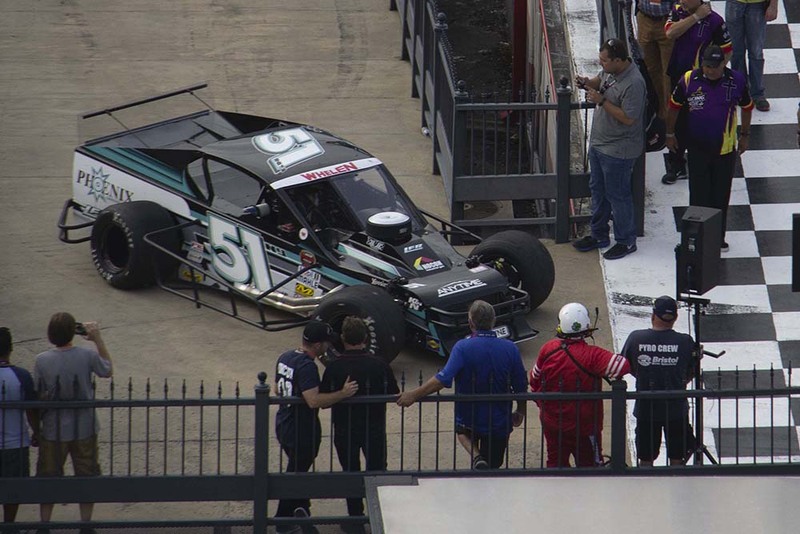 Four times after cautions Bonsignore fought through traffic to regain the lead. The final 65-lap run gave him the opportunity to stay out front to the checkered. Chase Dowling(15) finished 2nd. 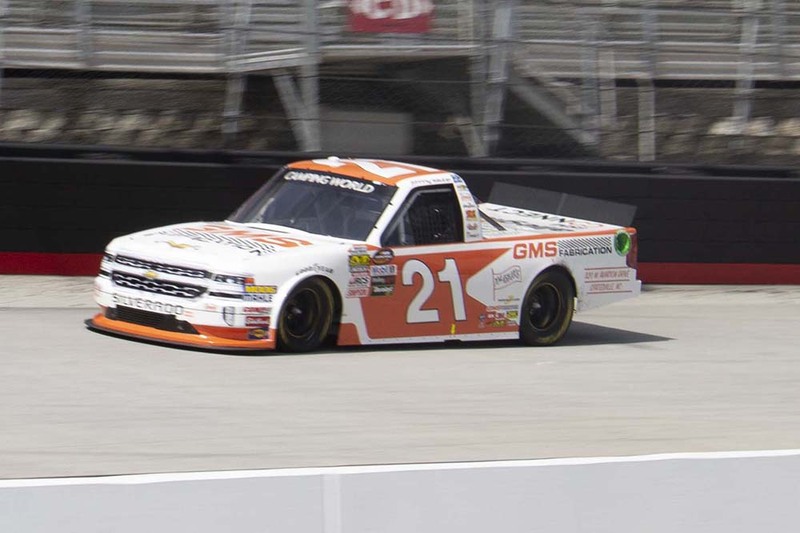 Johnny Sauter won for the fifth time this season. He had already clinched the regular season championship that gave him 15 playoff points. The additional 5 playoff points for the UNOH 200 win is icing on the cake. Sauter’s victory soothed some of the pain from last week’s loss at Michigan. 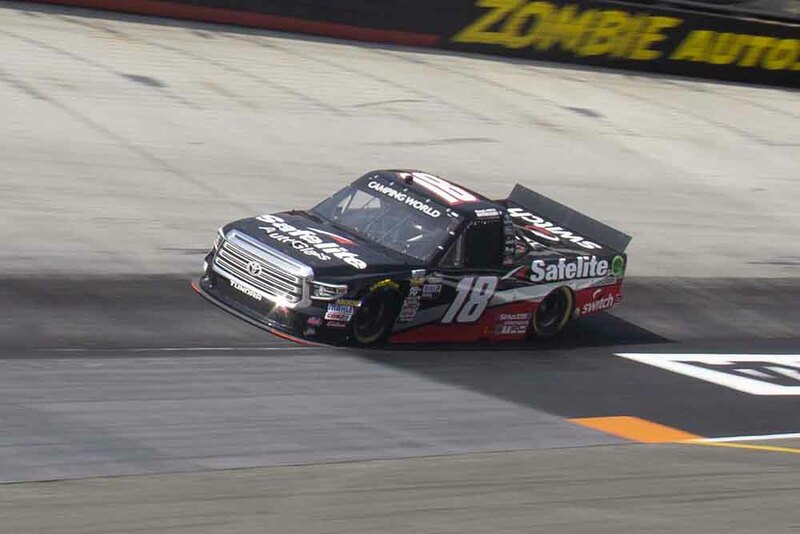 Brett Moffitt(18) edged out Sauter by .025 seconds with a last lap pass. 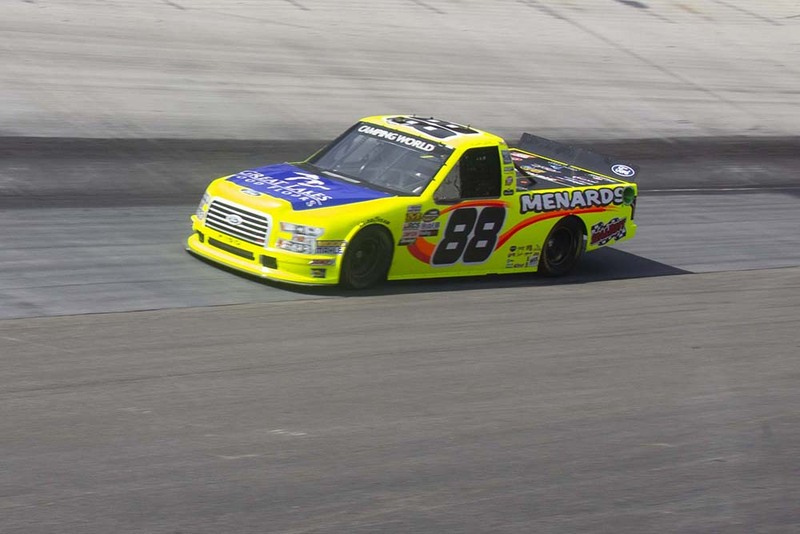 After Sauter’s win Matt Crafton breathed a huge sigh of relief. Crafton enters the playoff on points from the bubble position. Avoiding being knocked out by a surprise winner. 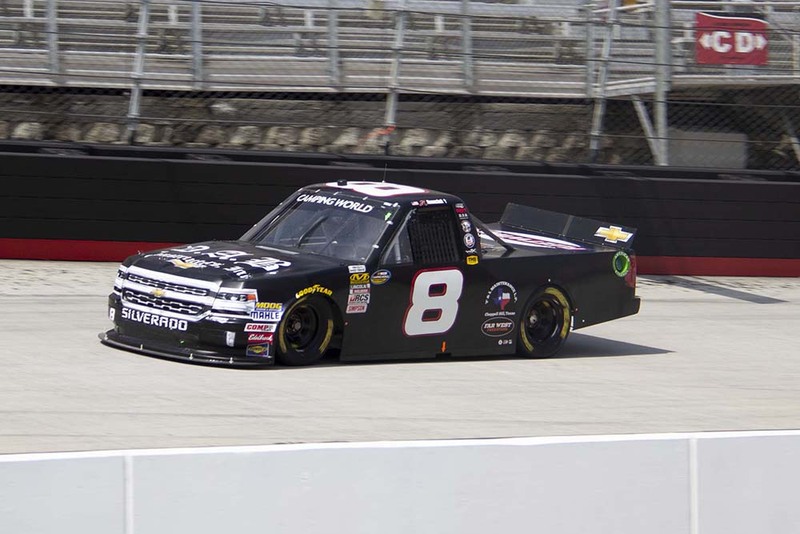 John Hunter Nemechek led 104 laps. A problem with the fuel pump on his truck cost him the win. Nemechek slowed in the final 10 laps allowing Sauter and runner-up Stewart Friesen to pass him. Tomorrow from Bristol Motor Speedway it’s Cup qualifying and then Xfinity Racing under the lights in the Food City 300. In a bit of Cup News, Kasey Kahne announced today this will be his final year as a full-time driver in NASCAR.